When students first come to me for lessons, no matter what their level, the first thing I want to do is correct flagrant bad habits that are very common. I started out making a video on how to put the saxophone together and take it apart properly. I know that you already know how to do this, but it is the first thing that I show to a beginner student so I wanted to make a demonstration video for every one of my online saxophone students, just to make sure they got my version of the process. During the course of creating the video, it changed into this list of what I call Pro Saxophone Tips. The list is basically the extra bits of information that you probably weren’t given when you first learned how to assemble your saxophone. Also, I cover my process for disassembly which is even more important since it covers how to properly clean your sax out after every usage. As you may know, I am also a saxophone repair technician. I no longer work in a shop fixing horns, now I only work on my own instruments and those of students and colleagues. In the past, though, I worked several years full time in some fantastic repair shops in New York and Copenhagen. 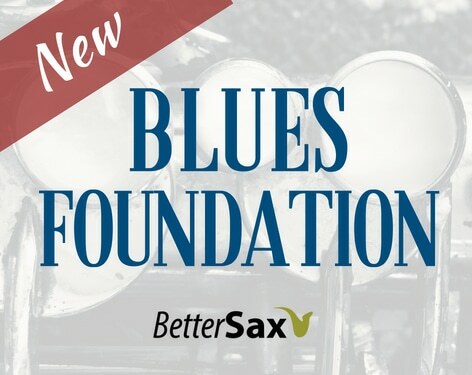 There are a few things in this list that will definitely save you money on saxophone maintenance long-term. These tips will also help keep your horn playing better for longer between trips to the sax repair shop. So whether your a student of mine or not, please watch the video, and follow the tips, especially the ones about swabbing out your saxophone every single time you finish playing. When students first come to me for lessons, no matter what their level, the first thing I want to do is correct flagrant bad habits that are very common. 1. Place case on a stable and flat surface before opening. Many times I’ve seen students put their case down in awkward places and then proceed to open it and setup their saxophone. This one may seem obvious, but always use a table, or the floor. Chairs, stools, or surfaces that are not stable and flat are a bad idea. 2. Always use the end plug when your saxophone is in it’s case. I see lots of students are missing their saxophone end plugs, or aren’t using them. The end plug actually performs a very important function which is protecting the part of the octave mechanism that protrudes from the top of the saxophone body while it’s in the case. These get bent all the time, and even a little bend can knock your horn out of adjustment, and prevent many notes from sounding at all. It also reduces how much the horn can move around in the case which is very important to keep this working properly. This is very easy, and should become a habit if it’s not already. 3. Do the suction test once you’ve put your reed on. In the video I demonstrate the suction test. I do this every time I put my reed on the mouthpiece and I can immediately tell if I have a good seal or not. This seal that your reed makes on your mouthpiece is critical for getting a good sound, and it will make playing easier. Take your time setting up your reed, and do the suction test to verify everything is working as it should. Watch my video on how to setup your reed on the mouthpiece if you haven’t already. If you can’t get a reed to seal, it may be too warped or damaged in some way. If you can’t get any reeds to seal, check your mouthpiece for chips, cracks or any other damage. 4. Occasionally apply cork grease to the neck cork. I’ve been guilty of neglecting this too. If you want your neck cork to last a very long time, then simply put a small amount of cork grease on it from time to time. Once a week should be plenty. This will also help it make a better seal with the mouthpiece and obviously make it easier to put on and take off. 5. Put the mouthpiece on the neck first, then attach the neck to the body. Don’t do it the other way around. 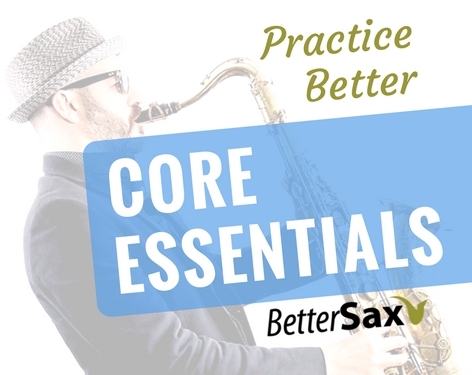 The connection between the neck and body of your saxophone is critical, and you never want to put extra stress on this joint. Always put the mouthpiece on first, then attach the neck to the body to avoid damaging the precise fit we want to maintain. 6. Adjust your neck-strap until the top of the mouthpiece meets your top teeth while your head is straight. The job of the neck-strap is to bring the saxophone to you. Don’t hunch over or tilt your head down in order to reach the mouthpiece. This will result in bad posture, possibly pain or soreness and a poor position for your embouchure. None of which will help you sound good. 7. Use a mirror to check your posture. I regularly practice in front of a mirror, and I always make my students do this so they can see for themselves what their saxophone playing posture looks like. Chances are you need to make some corrections as well if you haven’t checked yourself in front of the mirror. 8. Before playing, check for stuck pads, especially G# and low C#. Even with a well maintained horn you will get some initial stickiness in these 2 pads. If you don’t take good care of your instrument, you will have more sticky pads. It’s a good idea to check all the pads quickly before playing at rehearsal or in performance. A wrong note because of a sticky pad is an easily avoidable mistake. 9. Replace the mouthpiece cap when taking breaks from playing. Never leave your reed exposed for long periods (more than a couple of minutes). It will dry out and be less responsive when you want to play again, and a dried out reed will likely lose it’s seal with the mouthpiece. You also run the risk of someone (or yourself) brushing up against the reed and damaging it. 10. Put your horn down on the keys side when laying flat. This one I learned later than I should have. If you place the sax down with the keys side up, it will be resting on some of the keys that are protruding from that side. This is a bad idea, as over time, it will cause these keys to go out of adjustment. Also the saxophone is much more stable when resting keys side down. 11. Don’t leave your saxophone out when you have finished playing for the day. I know it may look cool to have your beautiful saxophone out on display for everyone to see, but it’s not meant to be decoration (if you’re a player) and leaving it exposed to the air all the time can have some undesirable effects. Some horns’ finish will oxidize faster which won’t affect how it plays, but a horn that gets left out all the time will accumulate lots of dust and over time this will affect how it plays and stays in adjustment. You also run the risk of it getting knocked over or damaged while not being protected in it’s case. 12. The pad savers (fluffy things that stay inside the horn) are not good for your saxophone. Music stores love to sell you these things, but they are pretty much useless. They don’t even come in contact with the part of the horn where all the water accumulates (in the bow). Since most people just stuff it in the sax when they put it away, it just absorbs a bit of the moisture and holds it inside the saxophone in the case. These things also usually have lots of colored fluff coming off of them which gets left in your case, and inside your horn and stuck to the pads. Get good quality swabs to clean out your horn instead. 13. Swab your mouthpiece, neck and horn after every playing session. I use 2 swabs for may alto and tenor saxophones. One for the mouthpiece and neck, and another for the body. I have tried many swabs over the years and the best ones I’ve come across are made by BG. They may seem a bit expensive, but they will save you their cost in maintenance and last forever. Here are links to purchase them. 14. Wipe off the neck tenon before putting it away. 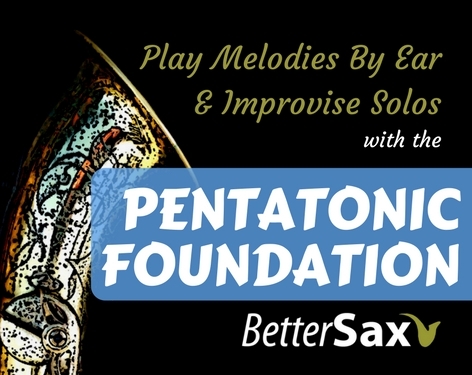 Use your neck/mouthpiece swab to wipe off the neck tenon every single time. In order for this to continue to work as it should, this precise joint needs to stay absolutely clean and free of dust. 15. Weighted end of body swab goes into the bell first, not the other way around. I see people doing this the other way around sometimes. I thought it was obvious, but in case you’re not sure, the weighted end goes into the bell. 16. Pass the swab through your instrument multiple times. I pass each swab through each part of the instrument at least twice depending on how much moisture there is to remove. 17. Double check, that you latched/zipped up your case. Don’t let it fall out like I did one time! The saxophone gear I’m using and recommend can be found on this page. Thanks for reading and watching the videos. 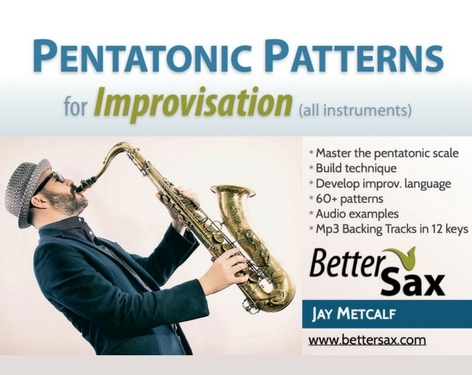 We’d love to hear from you if this information was helpful for your saxophone setup habits. Please leave a comment below and tell us about your sax assembly/disassembly experiences. I see that you lip dry the reed and swab the mouthpiece before putting them away. I run them under warm water and dry them before putting them away. Is that bad especially for the reed? I think the warm water is unnecessary for the reed, and definitely a bad idea for your mouthpiece if it’s made of ebonite (hard rubber). Warm water will discolor the mouthpiece so only use cold water. It won’t have any bad effect on your reed though. Key side is the side with the most keys on it opposite the side with the thumb rest and hook. I did the same thing leaving a hard case for my Yamaha YAS 62 unclipped, picked it up to rushed out the house and it fell out out on a hard floor, bell badly dented with a crease and the body twisted with half the keys misaligned. If you ever want to see a grown man cry that was moment, totally gutted on such a stupid silly fundamental mistake, luckily it was insured for accidental damage and Dawkes (UK) did a fantastic repair as unable to buy the engraved bell. Lesson learnt big time.